While industrial tourism has been a niche market in developed countries for years, it is only starting to find its feet in Shanghai. With the China International Industry Fair to be held from Nov 5 - Nov 9, 2013 in Shanghai’s New International Expo Center, Shanghai Industry Tours have started to attract the attention of interested travelers. The most popular destinations in Shanghai are Shanghai Volkswagen and Shanghai Totole Food Company. The Shanghai Auto Museum is a popular spot for motoring enthusiasts. A Sino-German Joint venture, Shanghai Volkswagen Automobile Co .Ltd produces the largest numbers of cars and commercial vehicles in China at 450,000 units per year. This stands above all car production bases across the country. It opens to the public on most working days except on special occasions. 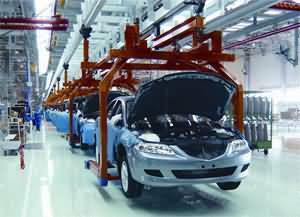 Visitor will see production lines for some vehicles and see many raw materials. They provide an insight into their advanced technology and how the company runs in China. Group of at least 15 people only are permitted or a minimum charge is collected. Please ask our travel advisors for detailed information. A visit to Shanghai Volkswagen is often combined with Shanghai Auto Museum, as the two venues are close. Shanghai Auto Museum was the first auto museum in China and displays up to 70 classic cars covering 100 years of auto history. It is located in the Exhibition Park of Shanghai International Auto City and consists of the History Hall, Technology Hall, Brand Hall, Antique Cars Hall and Temporary Exhibition Hall which hosts themed events. The exterior was designed by IFB in Germany. How to get there: Take Metro Line 11 and get off at Anting Station. Then walk for 15 minutes. Totole Food Company is part of the Nestle Group. In China it is best known for production of chicken bouillon. Since its establishment in 1988, the production capacity of chicken bouillon continually increased and is now the biggest in the world. In 2007, the company produced 10 million tons of chicken bouillon. It is now open to the public to see this legendary enterprise. The company runs several cooking classes for foreign visitors. People visiting can take a cooking class, learning to cook two dishes with the help of professional Chinese chefs. You can have lunch there to enjoy your cooking. 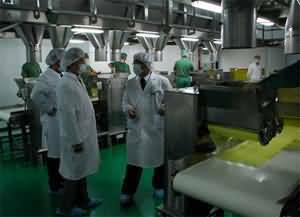 Later visitors will visit the chicken bouillon production line to have a close look at the line and the factory surroundings. A visit to their shop to see their latest products is also popular with visitors. Note: The availability of industry tours depends on each company. If you are interested in the tour, we recommend you book in advance to ensure a good time to have an enjoyable visit. Shanghai is the largest industrial base in China. Most of the kinds of industry can be found in Shanghai. Besides, it attracts more than half of the Fortune 500 companies to make investment in Shanghai. Contact us now to discover the dynamic Shanghai.